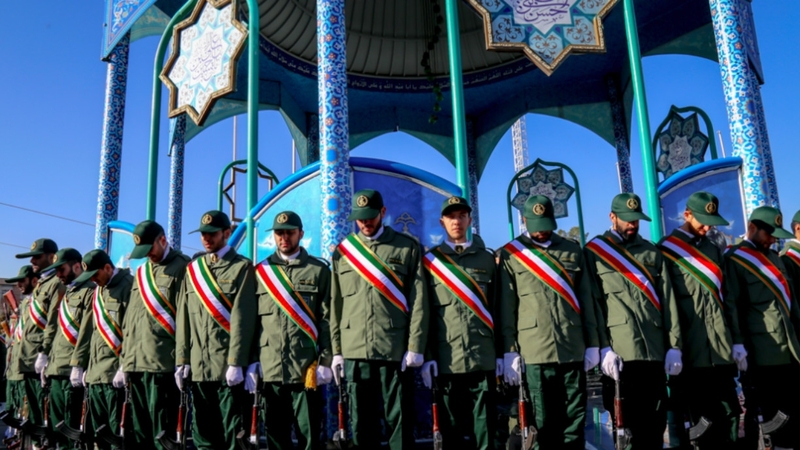 WASHINGTON -- The US Treasury last week announced sanctions on the Iranian-backed Fatemiyoun Division and Zainabiyoun Brigade militias fighting in Syria in a move aimed at putting pressure on Tehran and Iran's Islamic Revolutionary Guard Corps (IRGC). The Treasury Department's Office of Foreign Assets Control January 24 placed the two militias on its financial blacklist, which aims to cut off their access to international financial networks and to choke their operations. 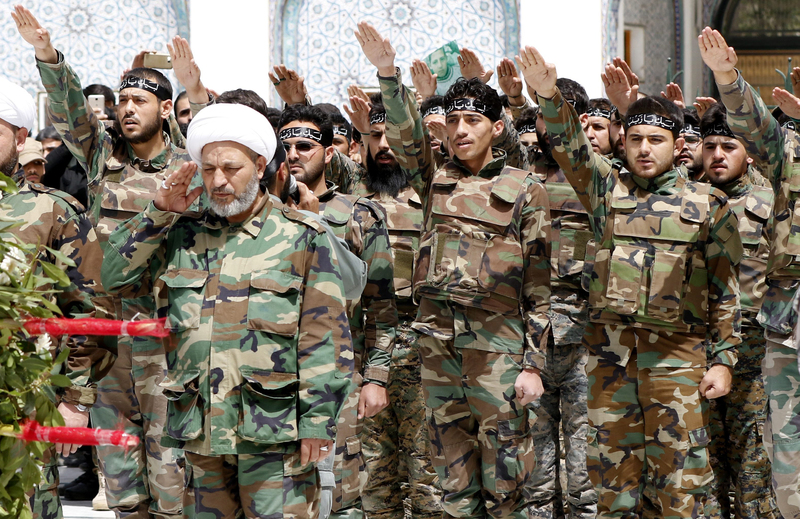 Both militias are recruited by the IRGC from communities of refugees and migrants living inside Iran and are sent to fight for Syrian President Bashar al-Assad's regime. The Fatemiyoun Division comprises Afghan nationals, while the Zainabiyoun Brigade is made up of Pakistanis. "The brutal Iranian regime exploits refugee communities in Iran... and uses them as human shields for the Syrian conflict," said US Treasury Secretary Steven Mnuchin in a statement. The Treasury also designated for sanctions Qeshm Fars Air, an airline it said was controlled by the already-sanctioned Mahan Air, and Armenia-based Flight Travel LLC, which markets for Mahan. Qeshm Fars was a dormant carrier until 2017, when Iran revived it to deliver passengers and cargo to Damascus with two Boeing 747 aircraft on behalf of the IRGC. The carrier is staffed by Mahan Air employees and receives Mahan technical support, the Treasury said. The Fatemiyoun Division "preys on the millions of undocumented Afghan migrants and refugees in Iran, coercing them to fight in Syria under threat of arrest or deportation", according to the US Treasury. "Several hundred Fatemiyoun Division fighters, including children as young as 14 years old, have died fighting Iran's war in Syria, and the bodies of slain Afghan fighters have been flown back to Iran on board Mahan Air flights from Syria," the statement said. The Iranian regime is "perpetuating widespread suffering and displacement", Treasury Under Secretary for Terrorism and Financial Intelligence Sigal Mandelker said in the statement. "Iran continues to leverage Mahan Air and its commercial aviation sector to transport individuals and weapons needed to carry out this tragic campaign and to fuel sectarian conflict throughout the region," he said. "We are aggressively targeting those who continue to provide commercial support to Mahan Air and other designated airlines, and any who fail to heed our warnings expose themselves to severe sanctions risk." "It is undeniable that thousands of Iran-sponsored Shia fighters from Pakistan and Afghanistan are fighting in Syria for the support of the al-Assad regime, and most of these proxies are highly sectarian," said Saad Malik, a Rawalpindi-based security analyst. "The [Syrian] army ... is facing a manpower shortage, and Shia fighters recruited in our region are fulfilling their needs," he told Pakistan Forward. "We are already badly affected by militancy in the region, and Iranian influence is fuelling more insecurity," he said. "Iran is extensively using our soil for personal gain, and the Fatemiyoun militia of Afghan Shia fighters is a major security risk in the restive northern parts of Afghanistan," Habibullah Khalili, a Quetta-based Afghan affairs analyst, told Pakistan Forward. "Afghan officials are very concerned about growing Iranian influence in the country," he said. "In the current scenario, without the elimination of Iranian influence, Afghanistan's goal of lasting peace cannot be accomplished." "The Zainabiyoun Brigade and Fatemiyoun Division risk worsening the geopolitical and sectarian tensions in our region," said Hasan Askari Rizvi, a political scientist, military analyst and professor emeritus at University of the Punjab in Lahore. "The recent action of the US Treasury against Iranian proxy militias will support the process of neutralising the threat of militancy," he told Pakistan Forward. 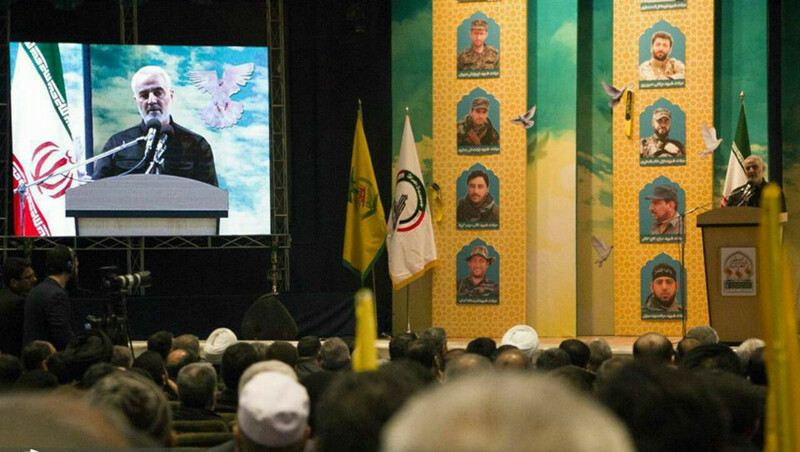 "Now Fatemiyoun and Zainabiyoun fighters will not be able to operate and move freely." Rizvi called on the relevant authorities to "adopt a visionary policy for countering groups that are operating under foreign influence". "We have to prove to our youth that the war in Syria and Iraq is not a holy war; rather, it is a war of geopolitical goals of external powers," he said. Only Iran alone is fighting against America,it's allies and their interests in the region. As a nation ,we all think America as an enemy but what have we done till now against our enemy. Only verbal wars. We have taken grants till now from America. This chain is created by Pakistan, America and Saudi Arabia, that has been used against Shias after being used against Russia. Flowers couldn’t have been offered in return, so libralism produced in every Shia; there is no difference either they cash Iran or the Shias remain prepared by themselves. Now America is making flurry upon defeat of her own created terrorists. Alqaida, Taliban and Lashkar-e-Jhangvi are nothing. ٰIran and Saudi Arabia can never be well wishers of Pakistan. They just ignite dumb people of Pakistan in their sectarian war. Iran’s secret agreements with Israel and Saudi Arabia’s deep relations with America are the proofs that both Saudi Arabia and Iran are worst enemies of the Muslim Nation.